We can easily use saved profiling results to analyze, view and compare profiling results of multiple runs. a bug exists in the profiler that prevents usage of its documented CPU timing functionality. Several undocumented features of the Matlab Profiler can make it much more useful – part 4 of series. An undocumented feature of the Matlab Profiler can report call history timeline – part 3 of series. Several undocumented features of the Matlab Profiler can make it much more useful – part 2 of series. 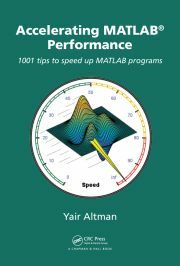 mtic and mtoc were a couple of undocumented features that enabled users of past Matlab releases to easily profile memory usage. The Matlab profiler has some undocumented options that facilitate debugging memory bottlenecks and JIT (Just-In-Time Java compilation) problems.